Melbourne Aquarium features 12 amazing zones of discovery, including interactive animal encounters and iconic state of the art displays. Home to thousands of aquatic animals, the must-see SEA LIFE Melbourne Aquarium is an entertaining and educational experience with four amazing worlds to discover and enjoy. The state-of-the-art Antarctica exhibit provides face-to-face experiences and magic moments with majestic King and Gentoo penguins. See them splash in the pool and walk beside them as they slide across the snow covered ice. Interactive displays and stunning visuals are sure to entertain and educate you about the coldest, windiest and driest continent on earth. Prepare to be surprised as you experience Seahorse Pier, Seahorse Pier, a whole-new exhibit housing the largest collection of seahorse and seadragon species in the world. Experience a rainbow of stunning colours and weird and wonderful creatures in their new, mystically-themed underwater wonderland. Journey from River to Reef and engage with the mysterious sea jellies and Giant Pacific Octopus. Be amazed by colourful tropical animals in the stunning Coral Atoll and a wide variety of exotic freshwater animals such as sharks, turtles, frogs, snakes, eels. SEA LIFE Melbourne Aquarium's 2.2 million litre Oceanarium features a panoramic Fish Bowl viewing area that puts you right in the action as you are surrounded by an underwater world filled with intimidating sharks, massive stingrays, turtles and thousands of amazing aquatic animals in Sharks Alive. With daily animal feeds and diver presentations adding to the adventure, SEA LIFE Melbourne Aquarium is a completely engaging experience. 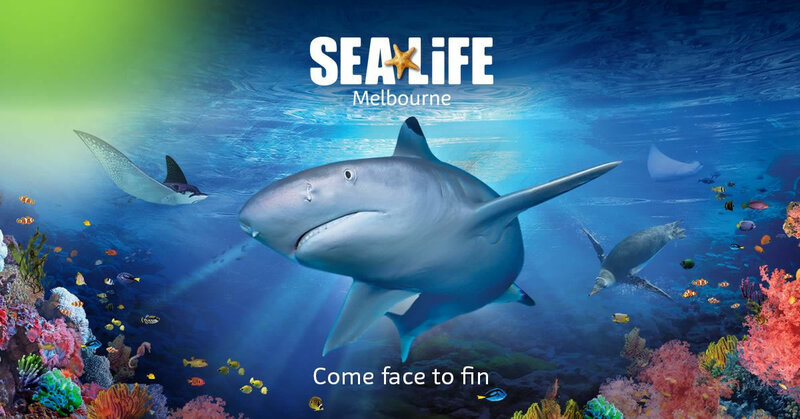 Skip the Line: Tickets includes Admission to SEA LIFE Melbourne Aquarium animal feedings presentations shows and talks.